Shanti Arts LLC, 9781941830147, 142pp. Through images and text, The Reluctant Artist tells the story of Joe Rice, high school art teacher, inventive artist, father of four children, and self-proclaimed "overeducated pauper." Rice lived his life in and around San Francisco, raising his children during the sixties and seventies-"a magical place at a magical time"-with LSD, the music of Janis Joplin, and a VW Microbus on every corner. 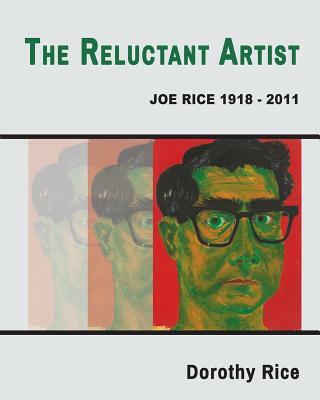 Rice's story is told by his daughter Dorothy Rice, who recounts tales of his lifelong commitment to art, his disquieting tendency toward solitude, his unease with useless conversation, and his self-effacing manner and adherence to humility as the highest virtue. Though he made art all through his life, Joe Rice never sought recognition or financial profit for any of it. Near the end of his life, his children became increasingly fascinated by and attached to his work, chronicling, photographing the art on his walls, and discovering a cache of paintings that had been stored in the garage rafters for over twenty years. Through his art they attempted to better understand their father's hidden truth: though he never sought to make a living from his art, art gave him his life. And having left so many tangible remnants he will live on in more than memory.